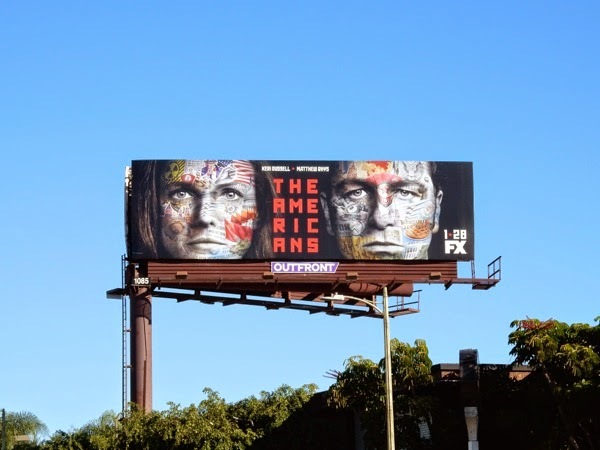 Every season Daily Billboard always looks forward to how FX will market its 80s Cold War spy thriller, The Americans, as their season promo billboards are always clever and eye-catching. 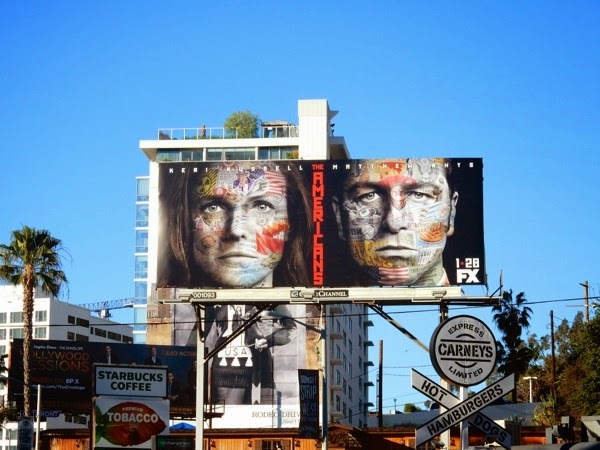 To help us kick off another TV WEEK, these season three billboards featuring onscreen married KGB sleeper agents, Keri Russell and Matthew Rhys, with their faces covered in a collage of American and Soviet iconography, could the the most arresting and compelling yet. 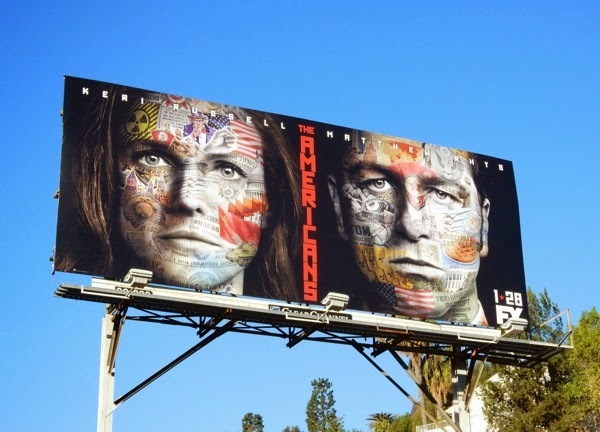 In fact, this imagery with the lead actors with the faces covered in this artistic camouflage, which makes their eyes even more piercing as if they're looking right at you, just gives us the chills it's so good. If you're a fan of the twists and turns, clandestine missions, clever disguises and the world of 80's espionage, then we're sure there's even more in store for your favourite deep cover operatives. But what happens when Mother Russia threatens your family, or tries to recruit your teenage daughter? Does your loyalty lie with your American born and raised children, or the country and way of life you purport to believe in and continue to risk your life for. 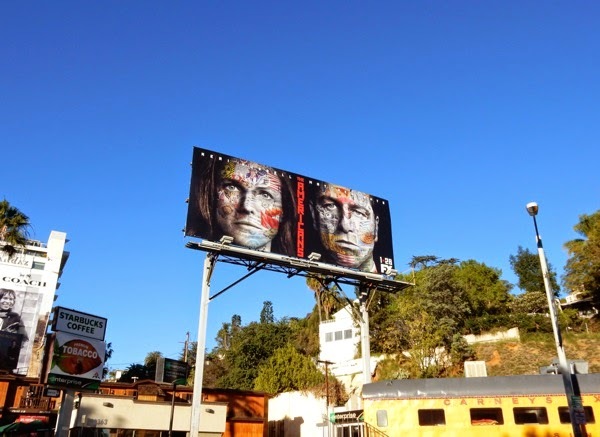 These fabulous third season billboards for The Americans were spied along the Sunset Strip in West Hollywood on January 6, plus along Vine Street in Hollywood on January 15, 2015. 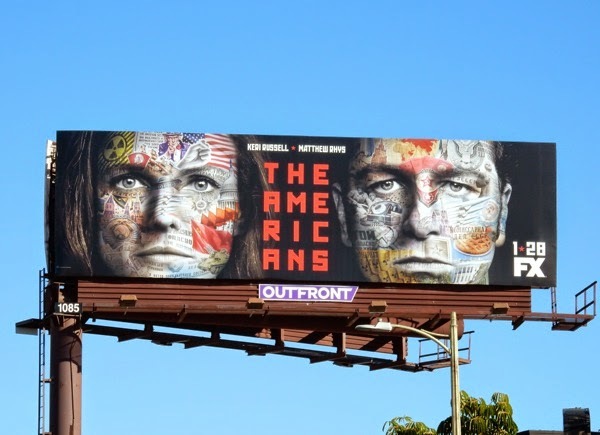 If you're a fan of the period espionage series, be sure to check out these season one Cold War propaganda style billboards for The Americans and these appropriately red season two billboards for The Americans. 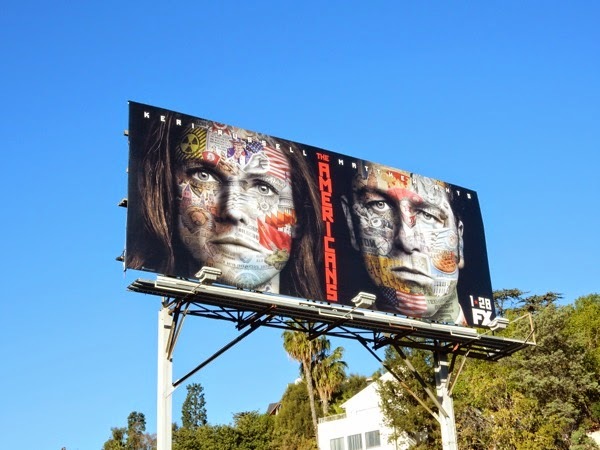 One more factor affecting the lives of 'Elizabeth and Philip Jennings' this season will be the ramifications from the death of Soviet leader Leonid Brezhnev in 1982, so hold onto your borscht and sling back a few vodkas to get you into the mood for more thrilling episodes. 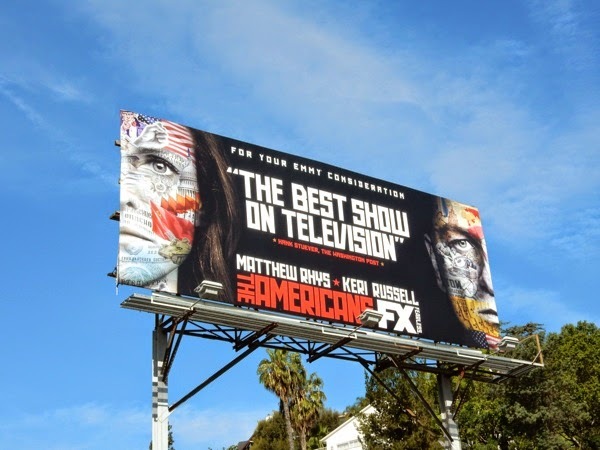 UPDATED: Following a thrilling third season, isn't it about time The Americans won a few awards? 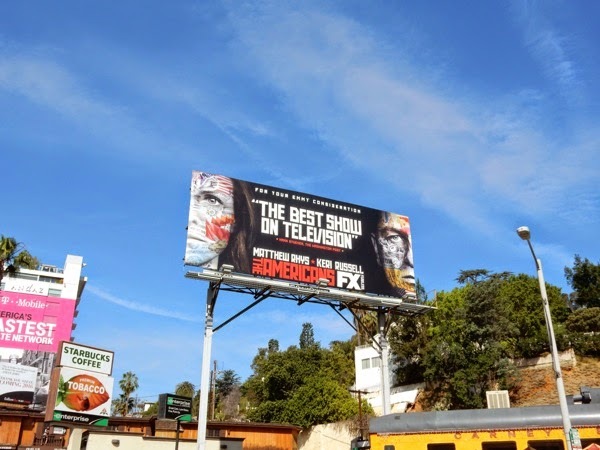 FX certainly thinks so and is starting its Emmy Consideration campaign with this adapted season three billboard snapped along the Sunset Strip on April 29, 2015.